SAN FRANCISCO, Aug 17, 2014/ — One of the 12 students chosen by the Academy of Art University School of Fashion to present at Mercedes-Benz Fashion Week, Madison Detro, M.F.A. Fashion Design, was born and raised in Los Altos, California. Before pursuing her graduate degree in fashion, Madison earned her undergraduate degree in Architecture. 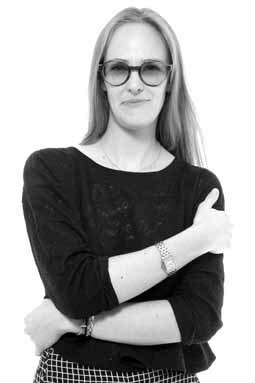 During her fashion design internship at Yigal Azrouel she gained experience designing, styling and prepping the Fall 2014 collections. Madison’s Spring 2015 collection is fabricated mostly from lambskin leathers and calf suede, and explores geometries and imbalance as a catalyst for beauty. Intrigued by the oddities in Le Corbusier’s architectural work, Madison’s designs are reminiscent of the angles found in the architect’s famous chapel Notre Dame du Haut de Ronchamp. Madison Detro’s work will be presented at The Academy of Art University Spring 2015 Graduation collections during Mercedes-Benz Fashion Week in New York. The runway show is slated for Saturday, September 6th at 7:00 PM at The Theatre in Lincoln Center.